As one of the most anticipated Jewish holidays of the year, preparing for Passover can certainly be stressful. Of the eight-night celebration, Seder is perhaps the most important meal for family and friends, typically held on either the first and/or second night. For many, this is a very traditional gathering marked by time-honored foods and activities. Understandably so, hosting your very first Seder dinner can be overwhelming! From finding just the right menu items to understanding the meaning behind each ingredient, the days leading up to the event can be intimidating. That’s where your local Foodtown grocery store steps in, dedicated to helping you plan a successful and stress-free event. As you prepare your Seder dinner, use this handy Passover Seder shopping list to ensure you don’t forget any crucial items. Depending on the family tradition, you may use a few slices of onion, a few sprigs of parsley, or a bit of boiled potato. This vegetable is traditionally dipped in either salt water or vinegar to represent the tears shed during the initial years of slavery in Egypt. The second item of the Seder plate is a sweet fruit paste made of chopped apples, red wine, and walnuts. Some families incorporate cinnamon, ginger, figs, pomegranates, or almonds into the mixture. Ground into a paste, this item represents the mortar used to construct buildings for the Pharaoh. 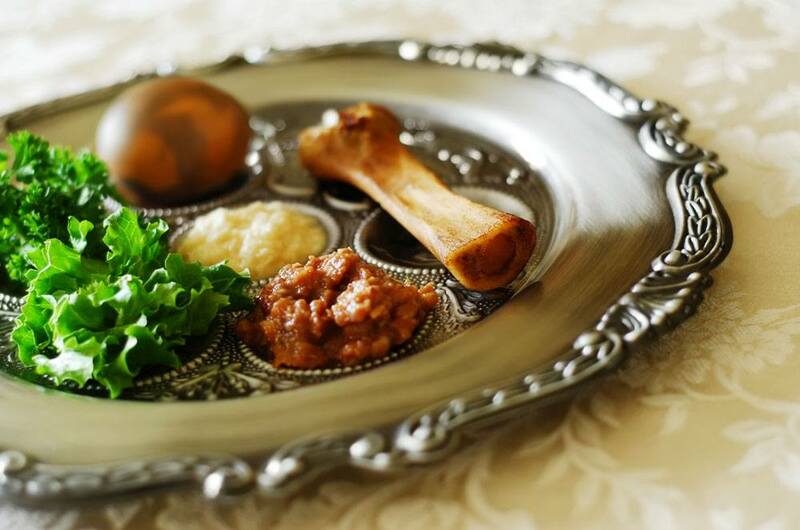 A roasted lamb or chicken bone is used to symbolize the Passover offering. While not eaten, it does serve as a reminder of the sacrifice that Israelites made before leaving Egypt. For vegetarian tables, a roasted beet can be used as a substitute. A hard-boiled or roasted egg is present on the Seder plate to represent the festival offering that was brought to the Temple. Some families also use the roundness of the egg to represent the cycle of life. This bitter herb is used to signify the suffering of the Israelites and the bitterness that they enduring during the Exodus. Traditionally, a member of the family will grate the root at the table. Romaine lettuce is considered the second bitter ingredient to be used on the Seder plate. While not bitter itself, the stem does turn bitter and hard as it continues to grow, representing the transition of the work Israelites were required to perform prior to the Exodus. Aside from the ingredients of the traditional Seder plate, there are a few other ingredients to shop for as you prepare for Passover. Some families add these ingredients to the Seder plate, while others simply have them present at the dinner table. Matzah—This unleavened bread is a staple at the Passover table, stemming from when Chametz, the leavening agent, was forbidden. Orange—Recently many families began adding orange slices to the Seder plate to represent fruitfulness and prosperity. Gefilte Fish—This ground, chilled fish is a traditional Jewish food, often enjoyed with horseradish from the Seder plate. Wine—Traditionally, each guest is given four glasses of red wine. However, grape juice may act as a substitute. Fruit Salad—Sweet and refreshing, a fruit salad is a nice addition to the typical Seder meal. Macaroon Cookies—Kosher macaroons are a common dessert enjoyed during Passover. Whip some up yourself of purchase a store-bought box of these cookies. Fresh Flowers—Fresh flowers are always a great gift to the host! A small bouquet shows appreciation and offers a bright centerpiece for the Seder table. As you prepare to celebrate, rely on your nearest Foodtown supermarket to fulfill your Passover Seder shopping list. Download our Smart App to have savings loaded directly onto your Club Card, allowing you to save during your next trip.